Combining insulation options in the same cavity results in better yet more affordable thermal performance. Thanks to the advancements and proliferations of a wider selection of home insulation products, builders can optimize a bevy of available options to achieve the best thermal results and also keep their costs in check. 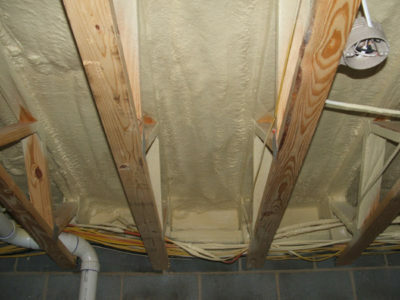 The "flash and batt" technique for wall stud cavities, for instance, combines more expensive but airtight closed-cell, expanding foam insulation and affordable fiberglass batts to create a thermally efficient and cost-effective envelope. Closed-cell offers an R-value per inch that is almost double that of open-cell options and is easier to control for the "flash" phase. You also get the benefits of its air-sealing qualities without paying for a full-cavity application. The batts, meanwhile, are offered in a wide range of R-values to retard thermal transfer through the cavity- assuming they are installed properly. An alternative is a "flash and BIB" concoction, where a blown-in-blanket layer replaces the batts to better ensure complete cavity coverage -- especially around intruding MEP runs. Within a 2x6, 24-inch-wide wall cavity, spray a 1-inch-thick (minimum) layer of closed-cell expanding foam along the perimeter to seal the joints. The expansion of denser closed-cell foam is easier to control than open-cell and delivers a higher R-value per inch. Cost-saving tip: Flash only the perimeter of the inside of the cavity (shown above) and let the batts handle the middle to the inside edge. Carefully install unfaced fiberglass batt rolls flush to the studs and plates to fill the rest of the wall cavity. Be careful not to compress the batts, which can reduce their R-value. 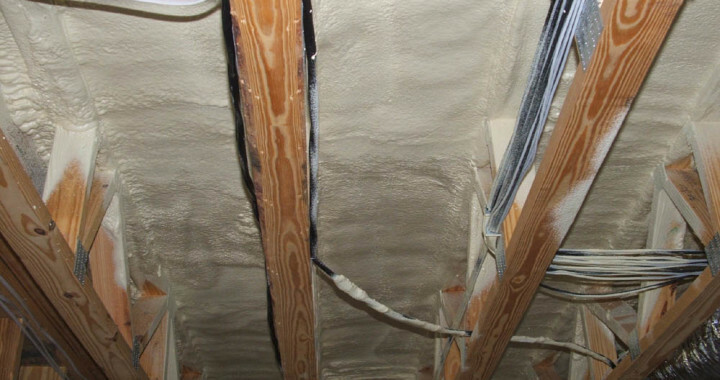 Cut and carefully work the insulation around intrusions, such as electrical wires or plumbing runs, to retain its thermal qualities. Blown-in-blanket (or BIB) systems blow loose-fill fiberglass through and behind a woven fabric membrane fastened to the narrow edge of the studs to completely fill the cavity and retain the full R-value of the insulation. The loose fill works its way completely around intrusion and the uneven surface of the "flash" layer in the wall cavity, eliminating voids that batts can leave. 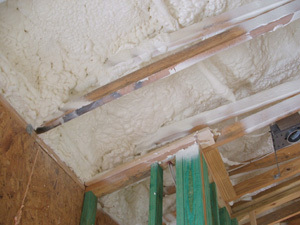 If you prefer less-expensive open-cell foam insulation, forget the batt or BIB and use foam to fill the entire cavity. Air-sealing quality will be similar to close-cell with a slightly better R-value than a 4-inch-think batt, while ensuring a complete cavity fill without voids. You'll also air seal any penetrations running through the cavity, effectively eliminating air loss or thermal transfer between adjacent cavities.